Superstar effect: Rise and fall. LeBron in Manilla—probably wouldn’t happen without TV. One obvious source of high end inequality is what’s known in the business as the “superstar effect.” If there were no television and the only source of NBA revenue was direct ticket sales, in-game concessions, and apparel sales then LeBron James would earn a much lower income. Of course television has been with us for a long time. But in the postwar decades it was a rather modest affair—three national television networks, scattered independent stations, spotty reception. Over time we’ve seen enormous blossoming of broadcast technology and also an enormous globalization of media. 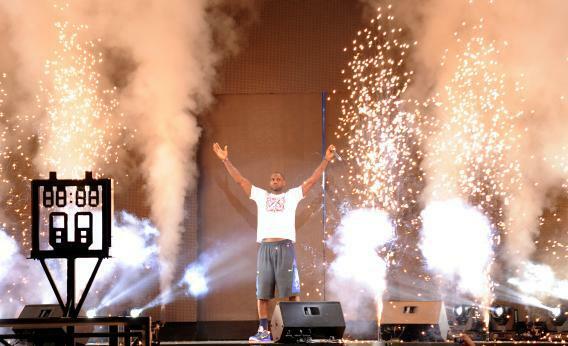 Now when LeBron plays he can be seen by fans in Manilla and Manchuria as well as Miami. That’s a quintessential example of a kind of inequality that we might want to tax away, but that certainly doesn’t reflect anything nefarious happening. If lots of Chinese people want to watch LeBron play, there’s nothing wrong with that. Conservatives often point to this kind of Just So Story as the key to explaining high-end inequality. But a great paper by Jon Bakija, Adam Cole, and Bradley Heim last spring (PDF) looked in detail at the occupations of the top 1 percent and the top 0.1 percent and showed that while there has been a rise in superstardom it happened in the 1980s. More recently, superstars have been on the decline. It’s unfortunate that their data doesn’t get more recent than 2005 and also unfortunate that it skips so suddenly from 1979 to 1993. But it shows pretty clearly that during the 1980s and early 90s there was a big increase in superstardom and that things started trending downward more recently. You can think of that as the decline of the record industry in the face of Internet-driven disruption or whatever. If you include capital gains in the analysis then you see the exact same trend, but I went with the excluding cap gains series since investment income doesn’t seem relevant to superstar issues.